The debate about using natural gas as a marine fuel began many years ago. Today, with the impending deadline of the new sulphur cap requirement regulating emissions for ships coming into effect in 2020, has seen a push for more alternative forms of fuels. 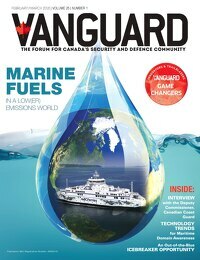 In this dashboard, Andrew Kendrick from Vard Marine Inc. presents an overview of Natural Gas as a Marine Fuel – The Canadian Story. Get a snapshot of the past, present and future of natural gas in Canada. Kendrick provided a survey starting with the year 1985, which saw the world’s first gas-fuelled ferries to the present with the conversions of two British Columbia Ferry Services S class ferries and the TOTE North Star container ship. And then looking to 2020, when the International Maritime Organization’s (IMO) 0.5 per cent sulphur cap will be implemented. Download the high-res version of this infographic here to learn more. 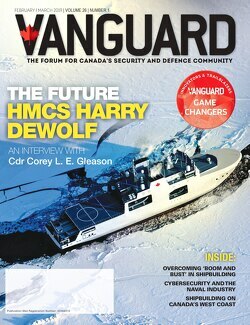 This Dashboard first appeared in the Feb/Mar 2018 issue of Vanguard.